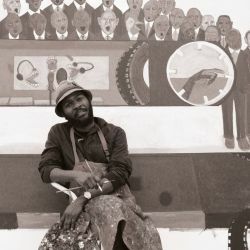 He is perhaps best known for his satirical use of iconic figures and symbols to provide commentary on the socio-political environment of his homeland and beyond. 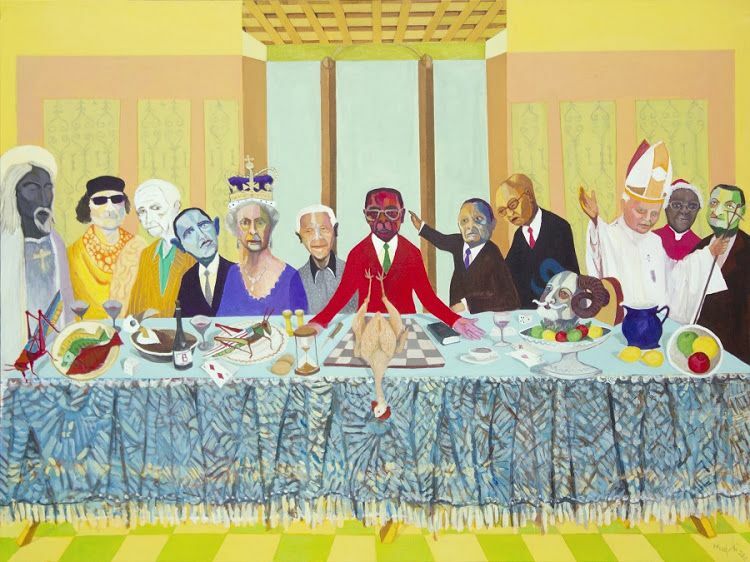 In the painting, The Passover (2011), Mudariki re-contextualises Leonardo da Vinci’s famous fifteenth-century painting of The Last Supper. 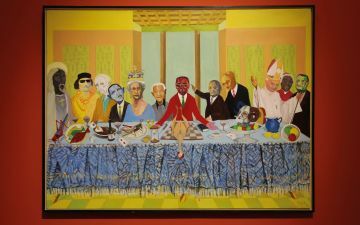 In it depicting a final meal for the former Zimbabwean President, Robert Mugabe, with world politicians and clergymen at the end of his long rule. A common thread in both of Mudariki’s more recent works, Patriotic Stereo Tape and Reform, Scan, Format? (2018), are the hidden operators, whose hands reach out from behind the scenes to tamper with a cassette tape, bribe a cyborg, or manipulate information. 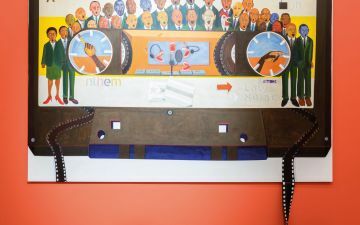 Read in the light of Zimbabwe’s recent elections, these works question the possibility of political reform and the extent to which a genuine democracy may be realised under state censorship and control. 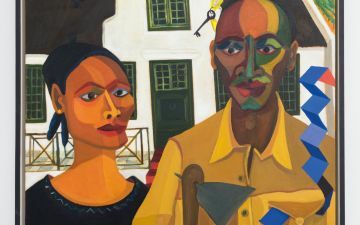 Mudariki has been featured in the following exhibitions: Mutara Wenguva (Time Line) at Sanlam Art Collection, Johannesburg and Cape Town (South Africa: 2017); Nano 1:1 at Barnard Gallery in Cape Town (South Africa: 2017); A Painting Today at Stevenson, Cape Town (South Africa: 2017); My Reality at Johans Borman Fine Art, Cape Town (South Africa: 2012); and Post Election Selection at Gallery Delta (Zimbabwe: 2008). 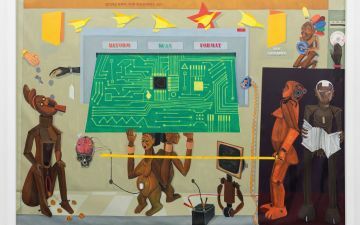 Richard Mudariki’s works are featured in the Zeitz MOCAA exhibition, Five Bhobh – Painting at the End of an Era (2018 – 2019).